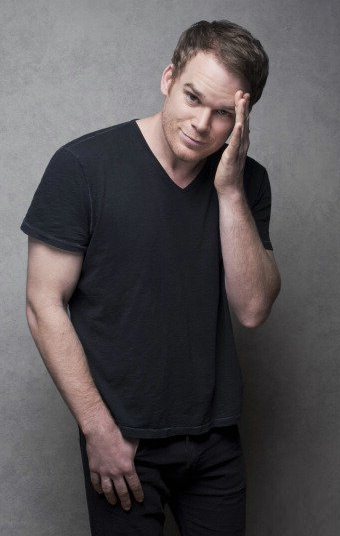 Michael C. Hall is returning to the small screen. Nearly a year after the Emmy nominee wrapped Showtime's Dexter after an eight-season run, Hall is set to star in Stanley Kubrick's unproduced drama God Fearing Man, The Hollywood Reporter has learned. God Fearing Man tells the true story of Canadian minister Herbert Emerson Wilson, who went on to become one of the best safecrackers and most successful American bank robbers in the early 20th century. Hall will star as Wilson and executive produce the drama, which was first put into development as a potential series at independent studio Entertainment One in August 2012. The project will be produced as a miniseries, with eOne shopping it to networks. EOne is producing the drama in association with Philco Films' Steve Lanning (The Secret Garden, The World of Eddie Weary) and Philip Hobbs, who worked with Kubrick for more than 15 years on projects including Full Metal Jacket. Michael Rosenberg and Adam Blumberg will oversee on behalf of the studio. Bill Kelman will executive produce, with eOne handling worldwide rights to the series in all media. Hall earned five lead actor in a drama series Emmy nominations for his portrayal of Dexter Morgan, the serial killer with a code on Showtime's Dexter — which he also exec produced — as well as one nomination for his co-starring turn on HBO's Six Feet Under. Since Dexter wrapped last year, Hall has remained busy with indie film Cold in July and Broadway's The Realistic Joneses. He's also attached to adapt Matthew Specktor's American Dream Machine for Showtime with former Dexter showrunner Scott Buck attached. Meanwhile, Showtime remains mum on a potential Dexter spinoff, which network president David Nevins said would have to involve Hall. Hall is repped by UTA, Authentic Talent and Peikoff Mahan.